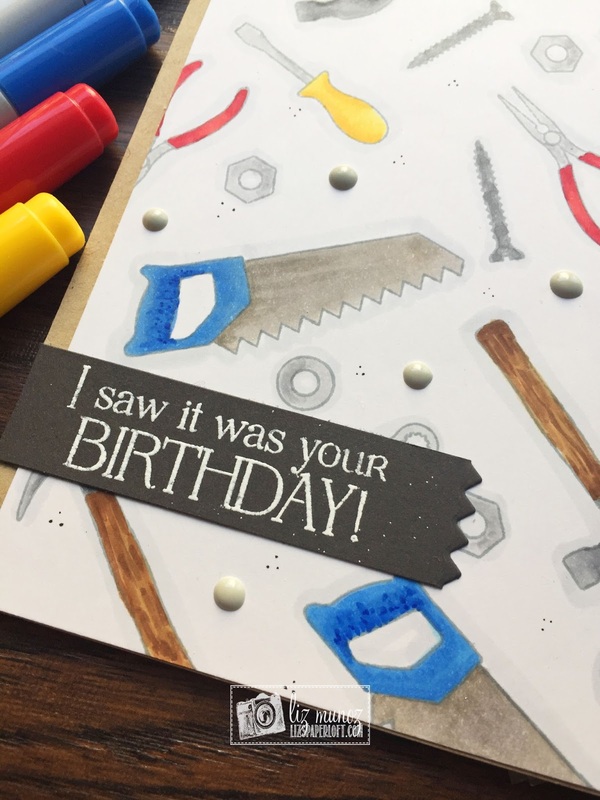 Liz's Paper Loft: MCT Manly Monday ~ saw it was your birthday! Hello, it's Manly Monday over at My Creative Time, so I have a fun "manly" card to share with you! I used copic markers to color in the fun tool images and then added some Nuvo Drops for more interest. For the banner I cut a small strip then used the edge of a die for the zig zag edge...easy peasy! Really cute card! Love your copic coloring and the way you cut the small banner with an edge die. OMG Miss Liz WOWIE WOW What a Super Spectacular Card!! You sure did one Outstanding Stamping & Coloring job!! You totally outdid yourself!! You definitely came up with lots of Cool, Clever and Creative ideas for your Magnificent Masculine Card. Your Banner idea is Tremendously Terrific!! Awesome card, Liz! 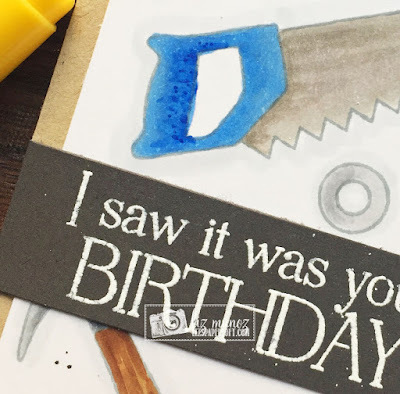 Your coloring is fabulous - especially the wood handles! 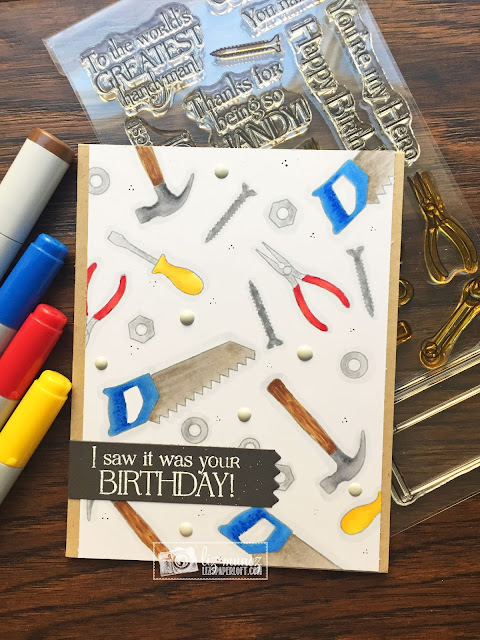 Great coloring on the tools. The shading around the tools really makes them pop...this card screams manly :D A little humor with the sentiment...what guy would not love this great card?